Is your local one of the best Banquet Bars in America? 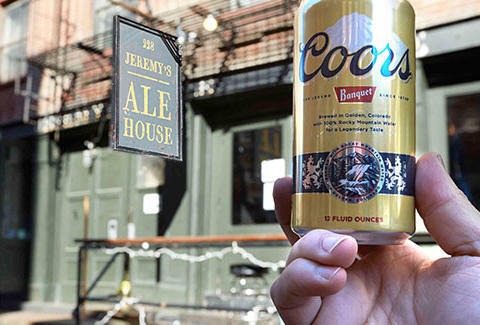 Why did we get together with Coors to highlight the <a href="http://ad.thrillist.com/ad/%%ad_nid%%/click/10607" target="_blank">20 best Banquet Bars in America</a>? Because a Banquet Bar is a special place. Even in a (wonderful?) (grim?) future where you’ll be able to download a pint, you’ll still pine for four beer-sign-covered walls that serve as a center for the whole community, from your oldest friends to “colorful” folks you’re not exactly friends with, but you sure do love drinking with. One of these Banquet Bars serves Christmas dinner; another once took exotic pets off regulars’ hands when they could no longer handle how crazy their baboon had become. These are some special places. So don’t wait, come check out the best homes away from home in the whole darn country.